Communication technology has evolved so that people can relate as if 100% of the time online and so close even though hundreds or thousands of miles away. Technology Voice over IP (VoIP) has emerged to make it all possible. Below we will talk a little about this technology. VoIP (Voice over Internet Protocol) is a technology that allows transmission of voice through an IP network, making it possible to deliver telephone calls (quality) over the internet. VoIP makes phone networks "meddling" data networks. Thus, it is possible that you make a link to phones through your computer, or even from your own extension, leaving the Internet link of your company. 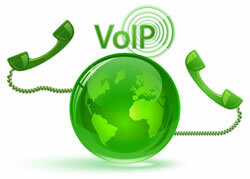 VoIP technology has also been applied to the PBX's. Thus, many companies are linking their central voice, thus building your corporate network voice and making the costs of communication between their offices equal zero, greatly reducing their costs Telephony. For voice transmission possible, the VoIP Gateway captures the voice, which so far is transmitted in analog form and transforms it into data packets that can be sent over any network (TCP / IP (Transport Control Protocol / Internet Protocol) . It is quite possible to work with these packages over the Internet. When the destination receives the packets, they are re-transformed into analog signals and transmitted to an environment in which to hear the sound. The communication protocols used for this transmission are: H323 and SIP. Although the H323 have arisen before the SIP has become an industry standard and has been used by most manufacturers today. There are also those codecs, protocols that add extra features and higher quality communication. Among them, there is G.711, the G.722, the G.723, the G.727, among others. What differentiates them are the algorithms used, the average delay and especially the voice quality. In this latter regard, the G.711 is considered excellent. There are some advantages in using this technology. 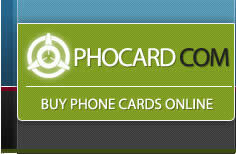 The main thing is that companies can greatly reduce your telephone costs. Imagine a company that has several branches around the world and already has a WAN for data communication, it can use this same network for VoIP traffic, thus creating their Corporate Voice Network. The best of it is that all your employees can talk for free, since it will not be using the traditional voice carriers. Another advantage is the possibility that you have software installed on your notebook or mobile and can carry your extension anywhere in the world. Imagine yourself in New York with your notebook or mobile phone and connected to the Internet, you may receive a call as if you were sitting in his office in Sao Paulo. Today it is perfectly possible to take advantage of the current structures and implementing VoIP telephony Many equipment manufacturers have hybrids that already incorporate VoIP technology, but still work with TDM, or you can have trunks: Analog, Digital (E1) and IP (VoIP) and similarly Branches: Analog, Digital and IP. check this out here gsmchecker.com . Maxim Bederov - a Game-Changer For Crypto Industry.